Finding the right wedding venue is one of the most important tasks on you wedding list. 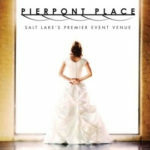 There are many Utah wedding venues, reception centers and halls as well as wedding ceremony options for your wedding day. One of the key factors is to determine the best location. Are you having a wedding breakfast or luncheon before or after the ceremony? Are you getting married in Salt Lake, Utah Valley, Ogden, Logan, Southern Utah or Southeast Idaho? It may be wise to choose a wedding reception venue that is close to or the same as your wedding ceremony site. You may also want to take into consideration where the majority of your wedding guests live. 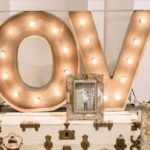 Search the top Utah wedding venues below and make sure the one you pick has the options you want and fits your personality and style. 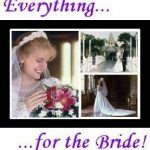 For more information about choosing the correct wedding venue, click on Utah Wedding Venues Tips. I have not seen a movie theater so nicely themed on the inside. You know Larry H Miller Megaplex Theatres. But do you know it is the perfect place for a one of a kind wedding banquet or wedding reception that reflects your individuality and style? THE PERFECT VENUE FOR MY WEDDING RECEPTION. 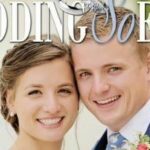 Come visit Utah’s newest wedding venue in Draper, Utah. Our venue was renovated in 2016 and encompasses the historical vibe of the Old School build in 1912. 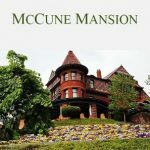 This is an awesome wedding event center! Memorable Views for an Unforgettable Wedding! 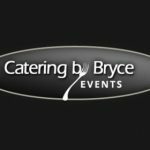 Our convenient location and classy interior make Bryce’s a perfect wedding venue. The StoneBridge Golf Club has some great wedding scenery. So impressed with Stonebridge... They make us feel like we are the most important event they have. We would recommend them in a heartbeat! The manager is super helpful and accepted all the requests we had! 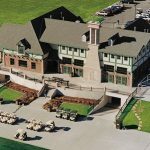 Stonebridge Golf Club is the premier location for your Utah wedding, luncheon or reception! The Fifth Floor is perfect for your wedding or any occasion! The Fifth Floor is a beautiful Wedding Venue! A unique natural brick loft in downtown Ogden The 5th Floor is an ideal location for both the traditional and nontraditional wedding celebration. 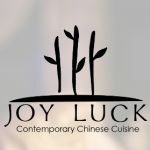 An artistic hub for those looking for a space to host a wedding or dream event. Everyone loved the look and feel of Wheeler Historic Farm for our wedding. I had my wedding at Wheeler Historic Farm and I just loved the place!! Thank you! This was the perfect setting for my wedding! Wheeler Historic Farm was perfect for my daughter's wedding and reception. 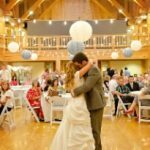 Wheeler Historic Farm is a wonderful Utah wedding venue in Salt Lake City with both indoor and outdoor options for your wedding ceremony and reception. I would happily recommend Alta Lodge for weddings as well as lodging! Most beautiful day of my life! I would not hesitate to recommend Alta Lodge and the staff hands down to anyone getting married in the SLC area. 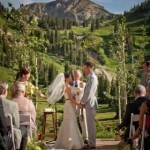 Alta Lodge is a romantic and memorable setting for your mountain wedding, reception and rehearsal dinner. Alta Lodge weddings are individually designed and coordinated. 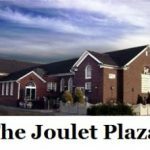 Northern Utah's finest Banquet, Wedding and Reception Center. Enjoy a beautiful view of Cache Valley. 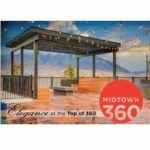 City View Receptions, with its magnificent art deco Tiffany windows has perfected the art of elegance, comfort, and tradition for your Salt Lake Wedding or Reception. 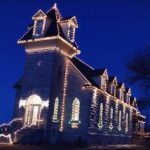 A beautiful historic chapel in Eden, Utah. The perfect setting for special occasions, wedding receptions, celebrations of life, and more. Our central location, spectacular view of the Wasatch Mountains, friendly staff, and amenities will help take your wedding to the next level. 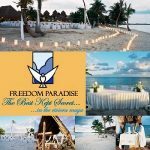 Providing wedding banquet and reception services uniquely tailored to your highest expectations. Have a Garden Wedding Without Checking the Weather Report! Wedding Streets offers 70 Venues in Northern Utah that include our All Inclusive Packages starting at $2,200. Packages include: Choice of Venue, Catering for 150 Guest, 3-Tier Cake and Large Floral Package. We also offer all services needed for your wedding at the best prices found in Utah. ALL VENUE PACKAGES ARE ONLY AVAILABLE THROUGH WEDDING STREET NOT THE VENUE. CONTACT US DIRECTLY TO RESERVE YOUR DAY. With stunning facilities and breathtaking views on twenty acres, Sequoias is Utah's premiere wedding venue for weddings, receptions and more. Cottage Charm is a new, unique Reception Venue. We will take you back to the days of simplicity and old world charm. Simple and affordable with no hidden fees! Wedding Ceremonies and Receptions are beautiful in Western Garden’s new Ivy House Wedding reception center. Interested in hosting your Wedding at the American West Heritage Center? We have three main rental facilities that can accommodate any wedding or reception. At White Willow Weddings we are 100% dedicated to providing the best wedding, wedding reception, wedding catering, and wedding floral service possible. Heritage Gardens is a full service facility offering catering, bar service, invitations, wedding cakes, flowers, videography, and photography. With nearly 40 years in the business, let our experience help make your day just what you have dreamed. The Swiss architecture and style of the building creates a unique and inviting place for your wedding ceremony and reception. 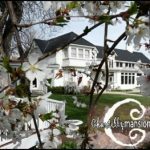 The Carriage House and Gardens at the Riter Mansion is Cache Valley's premier year-round event venue offering an intimate atmosphere for any size special occasion. We welcome weddings, receptions, showers, luncheons, and of course - bed & breakfast accommodations. 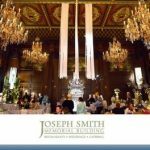 Filled with timeless, classic architecture, this romantic and charming building is Salt Lake City’s finest wedding ceremony, reception and event center. Historic Charm, Unforgettable Ambiance, Downtown Elegance! The restored Southworth Hall provides the perfect sophisticated and historical setting for your wedding or reception. Historic Ogden Golf and Country Club is the perfect setting for the Wedding of your dreams! Whether you envision an extravagant or intimate wedding, Noah's provides an elegant space for you to create your perfect atmosphere. You will love the sleek, state-of-the-art venue, and affordable pricing. 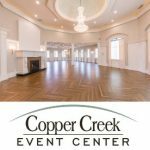 Utah County's Biggest and Best Wedding Reception Center! A full service wedding venue offering high quality, affordable services and options. Best Price, Best Service, Best Value! Our wedding reception center allows indoor and garden weddings. We can take care of transportation, flowers, wedding cakes, catering, sound system, decorating and wedding photography. At Hope Gallery and Museum of Fine Art we strive to bring the highest level of sophistication and professionalism to your wedding. Our beautifully renovated two-story building, built in 1916, its historic stained glass ceiling, and our unique collection of European masterpieces offer a plentiful space and an elegant ambiance for your Utah wedding. 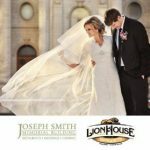 One of the outstanding architectural structures in Utah, the historical renovated and restored Union Pacific Depot will provide the perfect wedding venue. The Copper Nickel is a 6000 square foot, historic building available to the public for weddings, receptions, luncheons and other events.. It is John Moses Brownings old building. Affordable luxury and elegance awaits you at the BellTower. Weddings, receptions, and events venue located in St. George, Utah. We have linens, runners, chair covers, sashes, napkins, and a variety of centerpieces as well as an extensive wedding reception menu. With 21,00 SQ FT of event space, Venue 6SIX9 in Salt Lake City offers a unique space to host weddings, receptions, breakfast, luncheons and so on. You will love the sleek, state-of-the-art venue, and affordable pricing. Whether you envision an extravagant or intimate wedding, Noah's provides an elegant space for you to create your perfect atmosphere. The Wade Alumni House at Dixie State University is a charming and elegant location for all wedding events including ceremonies, receptions, luncheons, and dinners. Envision a garden reception, wedding, shower, or party surrounded by roses, trees, and greenery. Entrada at Snow Canyon Country Club is Southern Utah's Premier Wedding Destination. Each wedding and reception matches your desires and styles. Now under new ownership. The antique look of Tuscany Garden Provides the perfect place for your Utah Wedding. With exquisite service and attention to every detail we will ensure that your wedding day is absolutely flawless. La Caille is an echo of the peerless style of 18th century rural France - perfect for your wedding dinner, ceremony or reception. Indoor and Outdoor wedding facilities. The historic Opera House in Ashton, Idaho for an indoor wedding and Squirrel Creek Guest Ranch for an outdoor wedding in the Aspen trees. Imagine your wedding or reception at Willow Creek Country Club, set against the beautiful scenery of the Wasatch Mountains. Make vows, dine, and celebrate in this beautiful and convenient Utah wedding venue overlooking the picturesque Utah mountains. 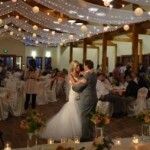 Fountain View Event Venue in Farmington Utah is the ideal space for weddings and receptions. Come celebrate your wedding in our chic, upscale event space. Zion National Park and Springdale provide a truly unique and magical location for destination weddings, the Cliffrose builds upon this with an intimate riverside oasis setting like no other. Waldorf Astoria Park City brings new meaning to the word luxury in Park City. We will offer indoor and outdoor wedding ceremony and reception areas all year round. Millcreek Inn is a romantic wedding venue in Salt Lake City, Utah. 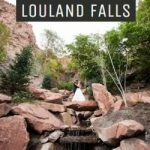 Nestled within the mountains of Millcreek Canyon, we offer the picturesque atmosphere of a destination wedding location, without the inconvenience of travel and expense. We are Sad to say we are closing our doors,. We will no longer be holding any kind of public events, Ceremonies or Receptions. 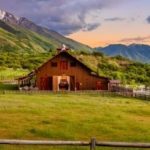 With a little bit of country, a dose of elegance, and a dash or two of fun, The Big Willow Barn is the PERFECT Utah County wedding venue. From our elegant ambiance to our spacious event rooms layered with exquisite detail, The Grand America is an idyllic destination for your wedding, reception, breakfast or luncheon. 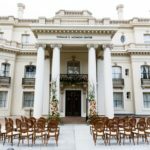 The Grand Victorian Reception Center isn't just a Utah wedding venue - it is a wonderfully romantic experience from the time you arrive to find the crumpets waiting for you in the bride's room, to the last moment when you drive away in the chauffeur driven Model-T. Located in the heart of Salt Lake Valley, Hale Centre Theatre offers a premiere location for your wedding ceremony, reception or other special event. Our Beautiful Events Center is the perfect venue to make your southern Utah wedding memorable. We have plenty of rooms, space and delicious and affordable menus to accommodate all of your wedding guests. Magnolia Grove will help to guarantee that your wedding day will be "A Day to Remember". We cordially invite you to celebrate your wedding day surrounded by the rare beauty of the Ledges of St. George. Every bride deserves to have the very best wedding day and we look forward working with you. Le Jardin's exquisite gardens, enchanting water features and beautiful elegance provide a memorable year-round setting for your wedding, reception and rehearsal dinner. 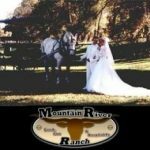 The Barn Weddings at The Barn Golf Club is located in the foothills of the majestic Ben Lomond peak. Adjacent to the Barn, is an elegant Patio pavilion that is perfect for luncheons, weddings and receptions. For the perfect wedding of your dreams, choose The Grand View Reception Center. 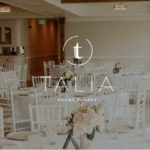 An elegant/urban wedding that offers the unique combination of a spacious yet intimate location with an amazing ambiance for your celebration. Logan’s premier Wedding and event venue! If you are planning a wedding or reception, our accommodations and services will be able to provide that touch of elegance to make your day truly exceptional. The Perfect Marriage of Romantic Ambiance, Superb Cuisine, Impeccable Service and Affordability for your wedding! The Grand Ballroom is perfect for your wedding ceremony or reception! We offer "do it yourself" or full-service weddings. With our charming, romantic atmosphere and wedding coordinators to assist you in planning every detail of your wedding, Gardner Village is an ideal place for your exquisite wedding. Log Haven is synonymous with wildflowers, waterfalls and beautiful weddings and receptions. A spectacular mountain venue for your wedding and reception. 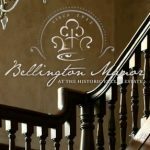 Featuring floor to ceiling windows, winding spiral staircase, hardwood floors, a grand piano and mirrored walls, the Bullen Center is the ideal place for your wedding reception. 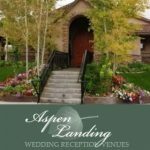 The Alpine Art Center is a beautiful Wedding Reception Center Venue, set in the middle of beautiful Alpine Utah, surrounded by breathtaking mountain views. Where Dream Weddings Are Affordable. At the recently remodeled Carmelle we strive to make your wedding memorable and enjoyable for you and your guests. We take pride in our beautiful building and elegant atmosphere. Whether you are planning an outdoor wedding by the river or a grand ballroom wedding, The Riverwoods has a room to fit your dreams. Let the Natural History Museum of Utah’s dramatic architecture and breathtaking views provide a uniquely elegant setting for your wedding. 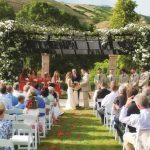 Stone Gate Weddings and Events stands out in a tradition of quality and excellence as one of the best wedding chapels and reception centers in Utah. Our caring, detail-oriented wedding planners and outstanding team are here to make your most special day absolutely beautiful and carefree. Arbor Manor is an event venue in the central Salt Lake Valley. 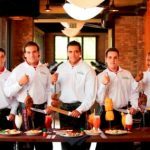 We offer flexibility to accommodate your event, your way. Visit our website or call us to schedule a tour! The Chillon Reception Center is in the old Spanish Fork 5th and 8th Ward Church Building. Recently updated and Remodeled - the perfect setting for your wedding, reception and rehearsal dinner. Castle Manor is one of the premier Utah wedding reception centers. We offer an exceptional value for both indoor and outdoor events as you create memories that last a lifetime. Whether your wedding is large or small, our professional and courteous staff at the Dixie Center in St. George will go the extra mile to make your wedding simply unforgettable.